Michael Gunnulfsen, Truls Skeie, Andreas B. Pedersen & Bendik S. Hansen. 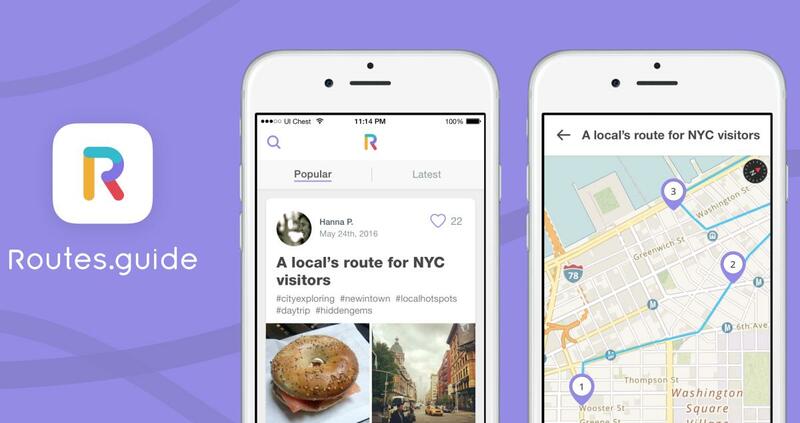 Routes.guide is a new app developed by a gang of Norwegians to make it easier for the users to find things to see and explore when they are travelling. “Users create and share routes with others, so when you arrive in a new city, you can easily find unique experiences without having to plan ahead”, says business developer Henrik Sæther. Each route has a map with directions and information about public transportation. Pictures from services like Instagram and reviews from Yelp are also included in the routes. “Our ambition is to become a global service that people can benefit from when they are travelling, to help people find good and local experiences”, says Sæther. It is easy to get lost in all the information and possibilities when you’re visiting big cities, and that’s exactly what Routes.guide hopes to help you with. The project was started by Michael Gunnulfsen and Andreas Pedersen from FINN.no after working with the project on FINN’s innovation day just over a year ago. The project has since been a part of FINN’s incubator programme Sandbox, for supporting entrepreneurships. FINN provides time and resources, IT structure and server rent for the project. “We are currently working with marketing the first version of our app whilst we’re looking for potential partners. We are in an early phase, but we’ve received confirmations that there’s a need and an interest for our product”, Sæther says. Download the app in the App store or Google Play.